As most of you know, I am a huge nerd and so are my kids. We love everything from anime to comic books and everything in between. My daughter is getting to the age where she is wanting to carry around a purse, but she did not want just any boring old purse. 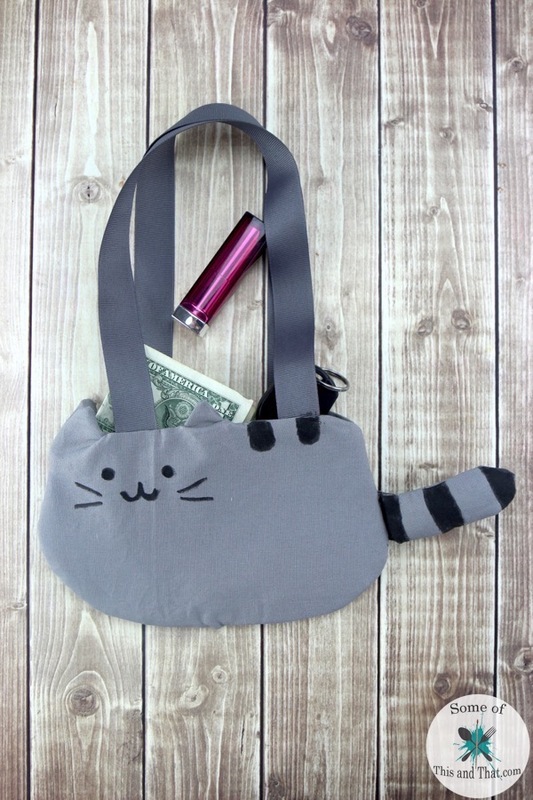 She wanted something that would express her personality, so we were off to the craft store to get some fabric to make this super cute DIY Pusheen Purse! Now, I have sewed a few projects such as a super easy reversible apron, a few nerdy pillows and a T-shirt dress, but this was my first attempt at anything this complex. Even with my low skill level, I was able to get the project done in about 30 minutes and with minimal cursing. I opted to use fabric markers to draw the face and strips, but you can use fabric and fabric glue as well. All you need for this project is some gray fabric, a sewing machine (or you can hand stitch it) and some time. 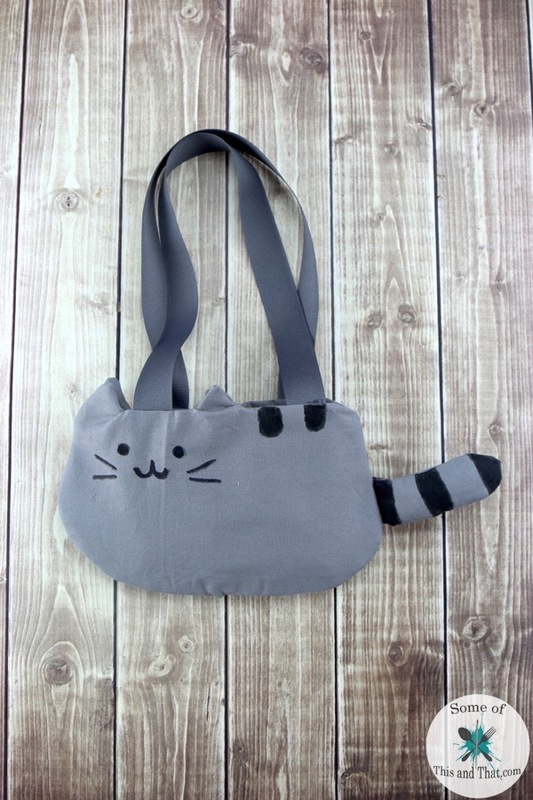 Check out the video below to see how I made this DIY Pusheen Purse! I think that I have caught the sewing bug, which is good because after cleaning out my office I realized that I am a fabric hoarder. I can not wait to try out some new projects in the coming week! If you love nerdy or geek crafts, be sure to check out our Nerdy Craft section here on the blog. Previous Post: « Homemade Galaxy Ice Cream!